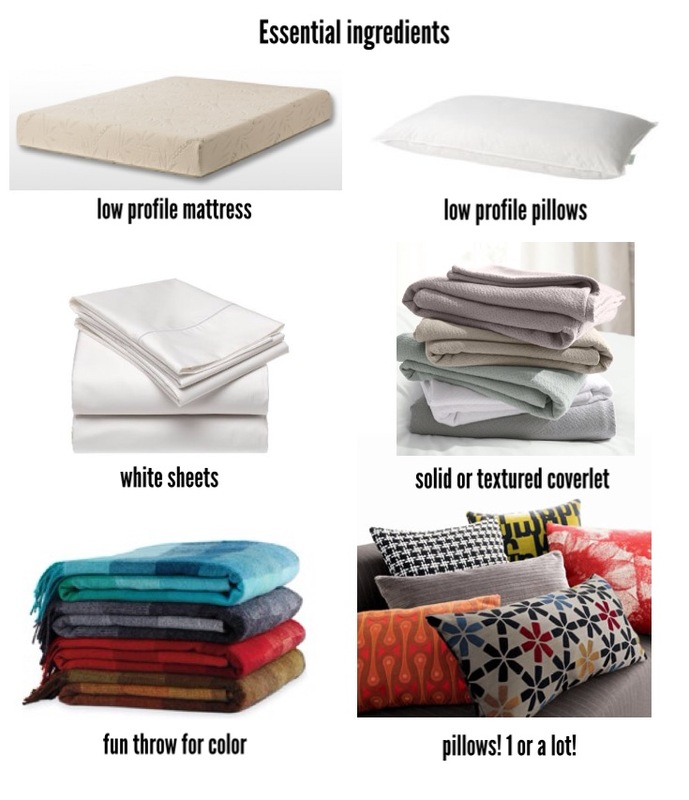 With all of the bedding packages staring you down in the bedding section, it’s easy to feel overwhelmed and confused over how to dress a bed. 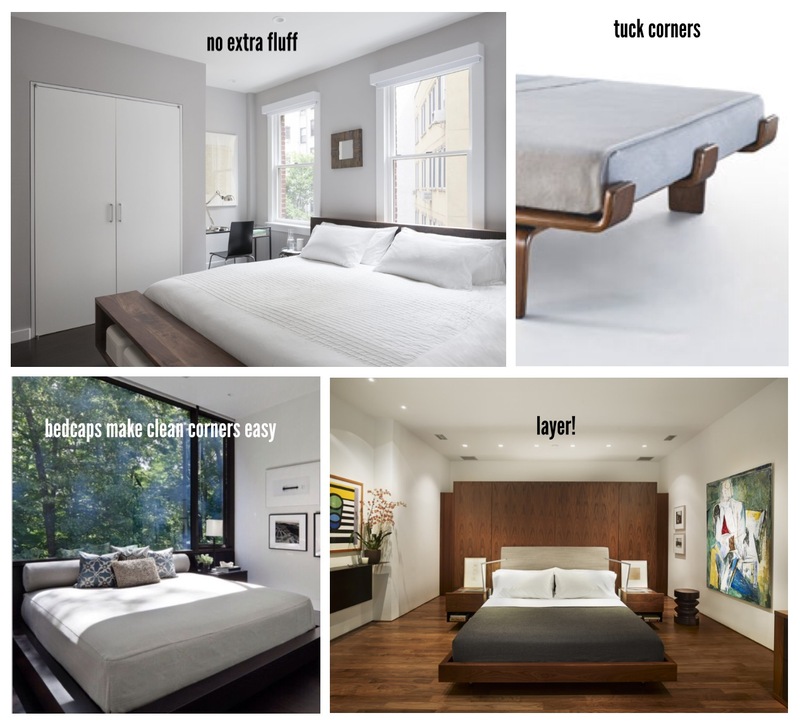 Especially a modern bed, more specifically, a modern platform bed. Do I get a duvet or a coverlet? Shams or no shams? What size shams? There really isn’t a right answer, but the most important rule is to buy a low-profile mattress, and keep it simple. While we love coverlets, sometimes there’s nothing better than a fluffy duvet. White pillowcases are great, but shams can give you a more tailored look. Accent pillows can be square, lumbars, bolsters, or a menagerie of styles and sizes. Keeping foundation pieces light allows for adding layers in colder months, and neutral colors are a good backdrop for bold pillows and throws. Everyone has their own preferences when it comes to bedding, as it also depends on the specific style or look you’re going for. We always love personal style to be reflected, but above are some fail-proof essentials we recommend.